In what appears to be a rather rushed decision, Mozilla disabled supported for binary XPCOM components in extensions in the Gecko engine when Firefox 40 is released. While it is being introduced with the release of Firefox 40 Stable, it will affect all Gecko-based programs including Mozilla Thunderbird. Mozilla justified the change in a blog post yesterday stating that binary XPCOM components are unstable and are a cause for instability especially in Firefox. The organization notes that most add-on developers have moved away already from using these binary components and that it has added support for native binaries to the addon SDK directly instead. The number of extensions affected by the change is unclear at this point in time. 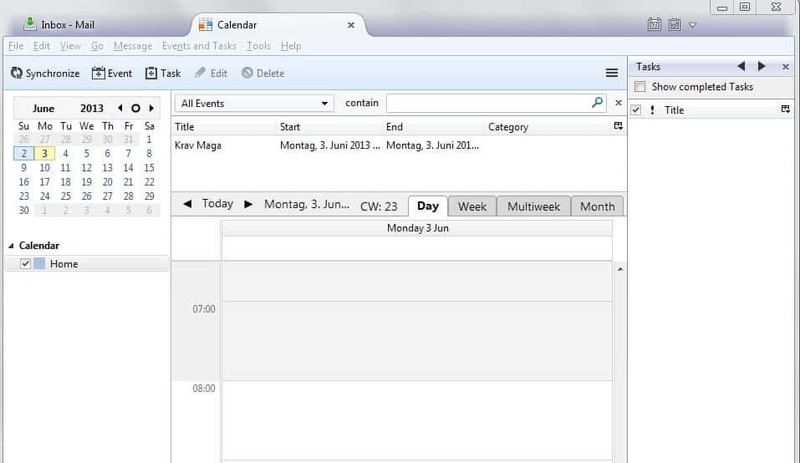 The calendar add-on Lightning is probably the most popular extension that still relies on binary XPCOM components. The change comes at a rather inappropriate time for Lightning as the Thunderbird team plans to ship it with version 38 of the email client. The only other quick fix available would be to integrate the binary component directly into Thunderbird, as clients retain access to it while extensions don't. But this would result in issues for other compatible applications such as SeaMonkey as this would have to be done in those programs as well. One favorable solution right now would be to add a configure-level flag instead of shutting down access altogether right away. This would give extension developers more time to address the issue and rewrite code to ensure compatibility with version 40 and beyond of Firefox and Thunderbird. It is unclear how Firefox forks or spin-offs like Pale Moon will handle the change. Extensions that rely on binary components will stop working when Firefox 40 and Thunderbird 40 are released. The only exception right now are B2G released. If Mozilla implements a flag for Thunderbird to bypass the restriction for the time being, then it should give extension developers more time to find a suitable solution without breaking extensions when Thunderbird 40 hits. Firefox 40 will be released in August 2015. Now You: Are you impacted by the change? Mozilla announced that it will drop support for binary components in extensions in Firefox 40 and all other Gecko-based programs with the exception of B2G. Firefox day by day becomes worse and worse, Did you switch to Palemoon already, Martin ? No I did not. I do keep an eye on its development though. You don’t say. It only gets a mention in every Firefox article. It’s easily the worst popular fork of Firefox that I’ve found. Any particular reasons you think Pale Moon is worse than other Firefox forks? I don’t really have a dog in this fight; I’m just curious to hear why, e.g., Cyberfox might be better. It seems like Mozilla are purposefully developing themselves (Firefox) into obsolescence what with GUI changes, forcing addons signing, depreciating HTTP, the list goes on. People could be forgiven for thinking Mozilla wants out of software development but can’t bring its self to say so, maybe they think once their market share drops low enough they can justify shutting up shop. I’m having the same issue. It seems you’re experiencing the following bug. If the most recent comments are to be believed, it might be fixed with Firefox 40, which is set to be released in about three months on August 11th. Damn I need some more browser alternatives. I’m on FF28 right now. (Pale Moon was great until *its* change.) All my extensions still work, though I back up before updating anything. It would be nice if Mozilla would provide a list of the Firefox extensions hosted on addons.mozilla.org that contain binary XPCOM components. I’m not a coder, but I’m guessing that it should be possible to generate one programmatically. I suppose Firefox and Thunderbird users will find out which of their extensions still do come August. Most ordinary users like me aren’t going to bother installing a beta to find out earlier. I agree this would be handy not only for users but also developers if Mozilla did not already inform them about the change. I’ve been using it as my primary browser since 2013. Prior to that I used Firefox. The recent HTTPS-Everywhere update being incompatible was what prompted my search for a new browser. Unfortunately, the list of incompatible extensions from Mozilla’s catalogue is only going to increase. It’s now my secondary browser. It’s just another Chrome respin, so I didn’t bother. Google is the king of creepy but because of it’s popularity, I decided to give it a go. I was impressed with the ADM templates Google provides, really impressed! However, reports of Google taking more than 3 days to deliver Flash updates via Chrome Components, combined with the inability to disable WebRTC and the general lack of configuration options made me decide to give Firefox another try. Australis is a complete mess! I tried a bunch of userChrome.css hacks before giving up and installing Classic Theme Restorer. Good thing I have OCD (sarcasm), I spent a loooong time going through about:config and comparing prefs.js to that of Pale Moon. I can finally say, I’m in love again with Firefox! x86 Firefox 37.x starts faster than x64 Pale Moon 25.3.x (on Haswell hardware) and feels more responsive. HTML5 is better supported by sites and all my addons work. The only thing I miss from Pale Moon is the about:logopage and knowing that sane defaults will be selected. So, I’m considering a move to the ESR branch when FF 38 is released. Looking at CVE’s, bug reports, and announcements like these, it seems to me the better option. Especially since I ended up disabling most of the “new features”. Despite Australis, Telemetry and some really questionable default settings, Firefox still has more potential than any of it’s competitors. However, the amount of effort it takes to make it great is absurd (I have almost 2 pages of notes!). If I was looking for something that “just works” and Google’s creepiness didn’t bother me, I’d choose Chrome everyday. With the ADM template you can lock down the extensions, addressing the very real issue surrounding the security of Chrome’s Extensions. Thanks for this useful (and easily digested) comment. I’d love to see your two pages of notes, as I’m still on Pale Moon x64 but am concerned that that Mozilla will continue to make changes to Firefox extensions that break too many of them in Pale Moon. I’ve done my best (including installing Classic Theme Restorer) to keep Firefox tolerable as a backup browser, but I’m sure there are a bunch of things I’ve overlooked. Why don’t you use Chromium, then, or any of the other Chromium forks which disable identification/tracking features by default (ie. SRWare Iron)? By the way, before you think Opera could be a better alternative to Google’s Chrome browser, I’d advise against it. The Norwegian company has been using a number of concerning privacy-related features in their browser which cannot be deactivated, at least not without manually editing configuration files. Why this hasn’t been discussed in a more public setting, I don’t understand. If you want to research, look for traffic to sitecheck2 dot opera dot com (fraud protection, can’t be disabled) or what happens with the default search engines (can’t be changed either). Unverifiable promises of respect for privacy haven’t been terribly reliable up to now, and they have been very weakly enforced (if at all) by the US government. That’s not to say that a different, open-source Chromium-based browser might not be potentially interesting once I’ve boosted my RAM to 8GB. Fair enough, MartinPC. I haven’t been using any of these Chromium forks either, Iron was just the first one that came to mind. Many of them have been discontinued, among them WhiteHat Security’s attempt called Avalon. At least that one has the source code of its last version (37, I believe) available at GitHub. FYI it is now possible to disable WebRTC in Chrome 42+. It involves editing a text file but it works. Hopefully they will add a graphical way to disable it in the future. No, that disables the local IP lookup “feature” of WebRTC used to expose VPN users true identity. It DOES NOT disable WebRTC. To all: did you notice that K-meleon is back to life again? The only extension I use that has binaries is LastPass. LastPass guys are fast to adapt. So, this is only of Mozilla announcements I am not worried about. Boris, how did you determine that? I used to clean extension folders every month from unnecessary translations/readme files and of cause I looked in all other sub-folders. Only extension that had binaries in extension folders is LastPass. Interestingly, Lastpass major functions will work with binaries deleted(I tried). Binaries are not necessary for editing fields/filling fields/saving fields/menus functionality. There are only two reasons I use Thunderbird and one of them is the Lightning extension. Although I mostly use it as a front-end to Google Calendar, the reminder pop-ups are especially important to me. The other reason is that I archive my Gmail to a local IMAP server and Thunderbird works very well for that purpose and as a front-end to search my archive. I’m testing Vivaldi and the Sunrise app currently. If Vivaldi adds multiple IMAP mail capability I’m probably going to kick Mozilla products to the curb. I dislike the user interface in SeaMonkey. It’s too cluttered for my taste. I don’t know why you or people here always mention Pale Moon it’s just a clone that claims to be more secure – in fact less people working on that so I think it’s not possible that it’s more secure compared to huge project like the real Firefox. I know they saying it’s not Firefox anymore but looking at there changes just reveals the opposite except some changes here and there in the name of security, so I wouldn’t let me blind on that promised that it’s more secure. But people always believing in myths like that. If they really care why not open an bug report on the official browser, never got that – now we have million cloned forks that promising great futures but I think that’s the wrong way. About that binary thing, well I’m not happy with it but in the name of security that may can solve some problems. Imho I think it would be good if they would allow such binary thing for trusted people/organizations to not break stuff or just update there scanners to add a blacklist which may compromise the security – because I bet there are not many binaries that really harm or bypass all security mechanism that easy. Going on what Martin said in this article though it’s not being done for security reasons, it’s being done for stability. So, what do you think then about PM? Yes, it’s a fork. But a special one;). and -classic theme restorer- than classic FF, specially on an older PC’s. Palemoon x64 was slow to so I tried PM x32 and found it quicker on that same PC. I also found the -Atom- version of Palemoon to be the fastest on my Atom330.